Your fraternity sign might be responsible for over half of the interests that come to check you out during rush week. 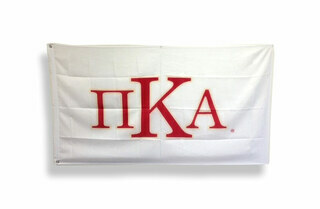 So make a valuable investment in eye-catching, quality Pi Kappa Alpha Signs, Flags and Banners from Greek Gear. The best time of year to head out to meet and greet freshman is the very first week back to school. That's when they're eager to learn more about Greek life. 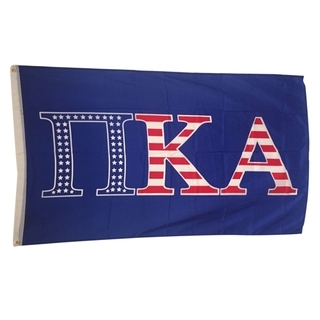 So grab your 3 x 5 Flag and head to the freshmen dorm to welcome them with cold waters and invitations to your first event. It's a one-hour activity that could significantly boost your recruitment efforts during rush week. 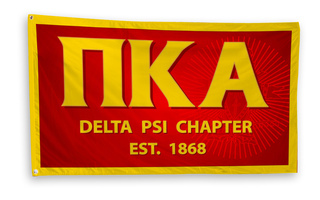 When you invite serious interests to your chapter house, greet them with a Pi Kappa Alpha House Sign on the front porch and a Vinyl Banner in your main room. 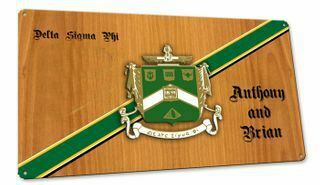 Both give you the option to add text, like "Welcome Freshmen" and important details about your chapter (founding date, name and motto). They're durable, so you can store them and use them next semester when you return to school. 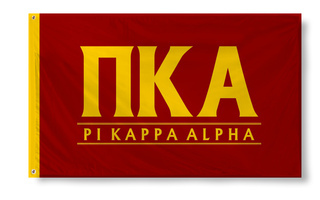 When you consider the many benefits you'll enjoy in terms of professionalism, perception and reception by the campus as a whole these Pi Kappa Alpha Signs, Flags and Banners are worth every "garnet" red cent! 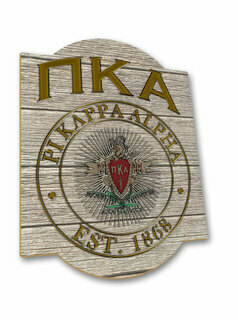 Pi Kappa Alpha Signs & FlagsThe Greatest Selection. Period.